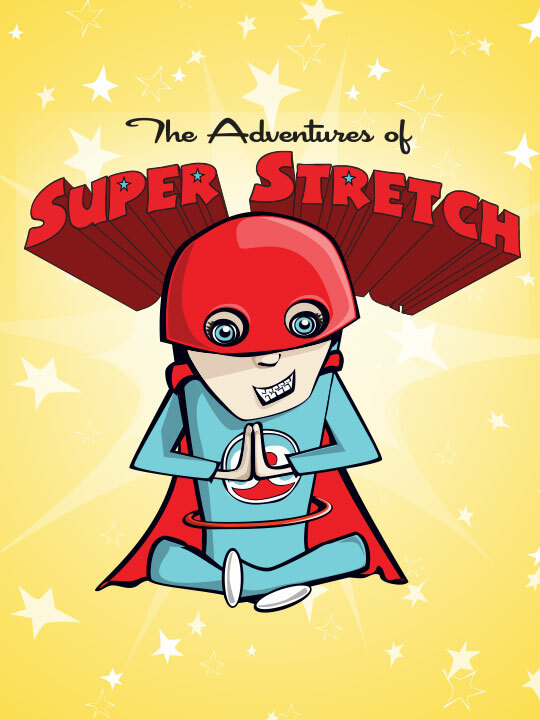 The Adventures of Super Stretch™™ poster with the whole cast of characters & friends. 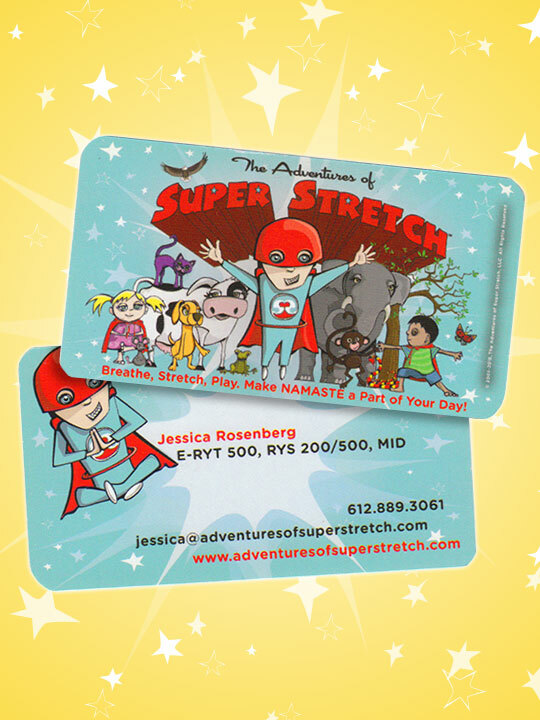 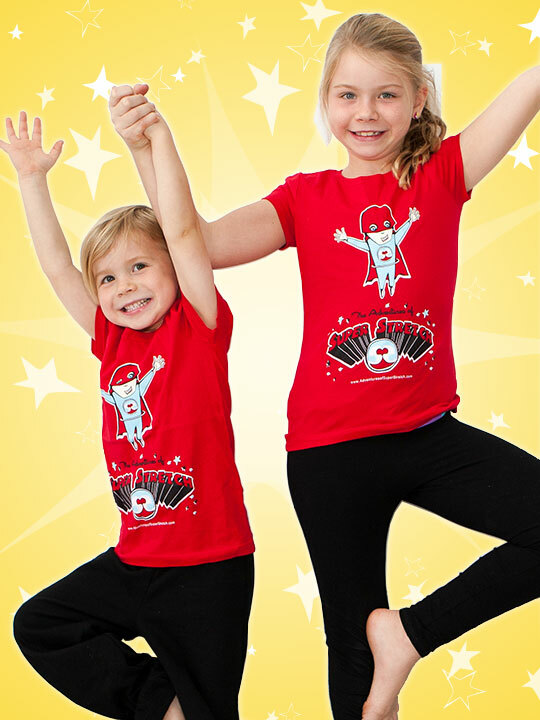 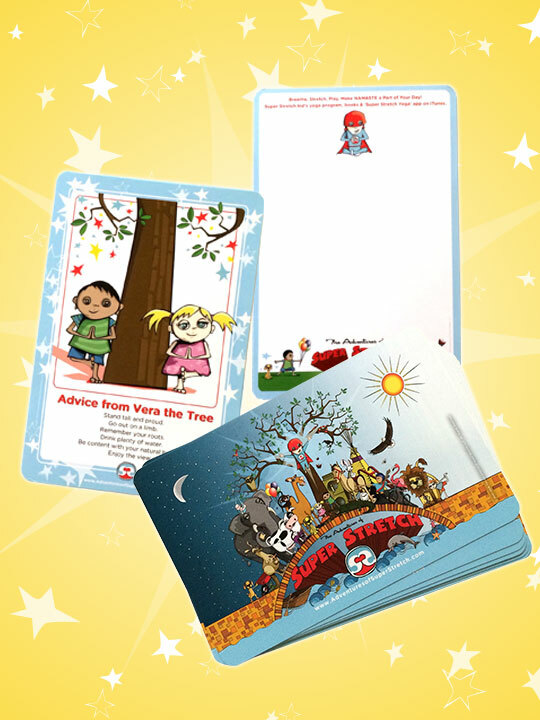 It is a great teaching tool and fun for children to learn their fitness stretches! 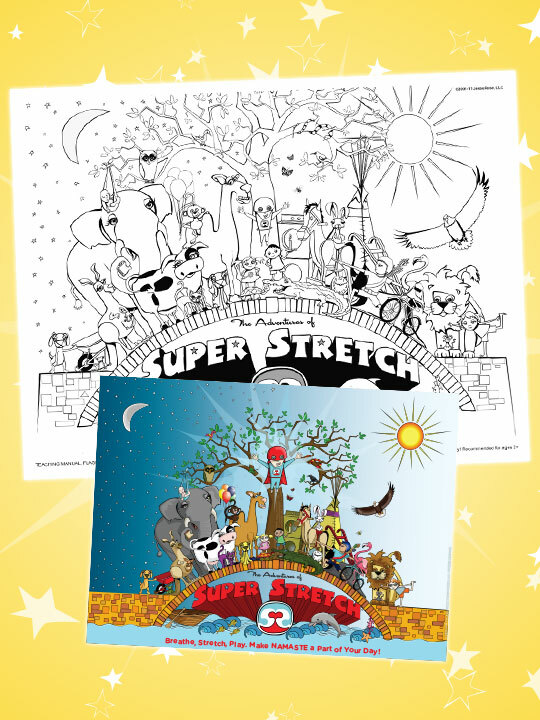 Available in black & white coloring activity, or full-color 18×24″.